This is by far my favourite FUN bar ever!! To say I never use to like or use FUN, I am now completely obsessed with it and can’t get enough of it. If you haven’t tried a FUN bar before they are a little strange to use at first, which is possibly why I didn’t get on with them very well when I first tried them out. 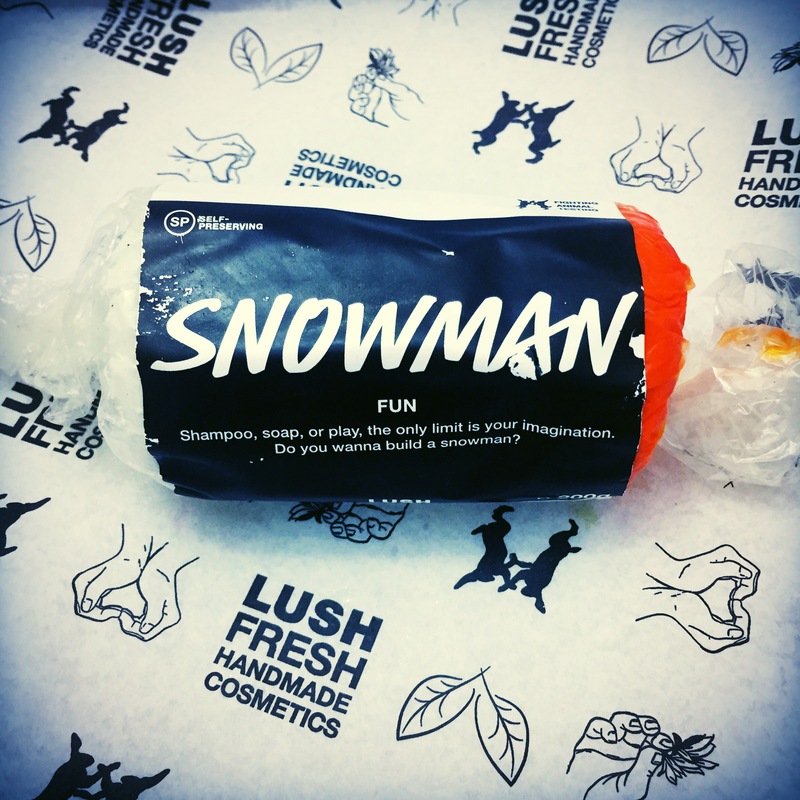 FUN bars are quite a clever invention by lush and can be used in loads of ways: the possibility are literally endless. What i love most though is the fact you can use FUN as playdough!!! It’s just brilliant and pleases my inner child very much, there is nothing better than being able to make little models out of amazing smelling FUN which you can then use in the bath( I’m such a big kid). 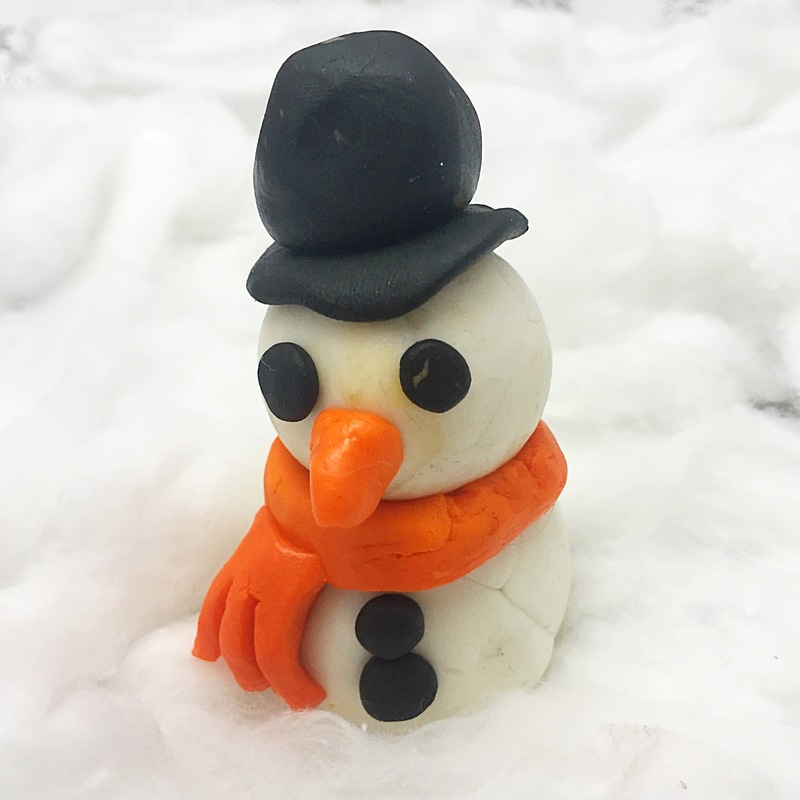 The snowman FUN features three colours white, orange and black which makes it perfect for making little snowmen! I did however find this fun to be slightly messy as the black and orange tended to leave marks all over the place, however luckily it did wash off very easy. 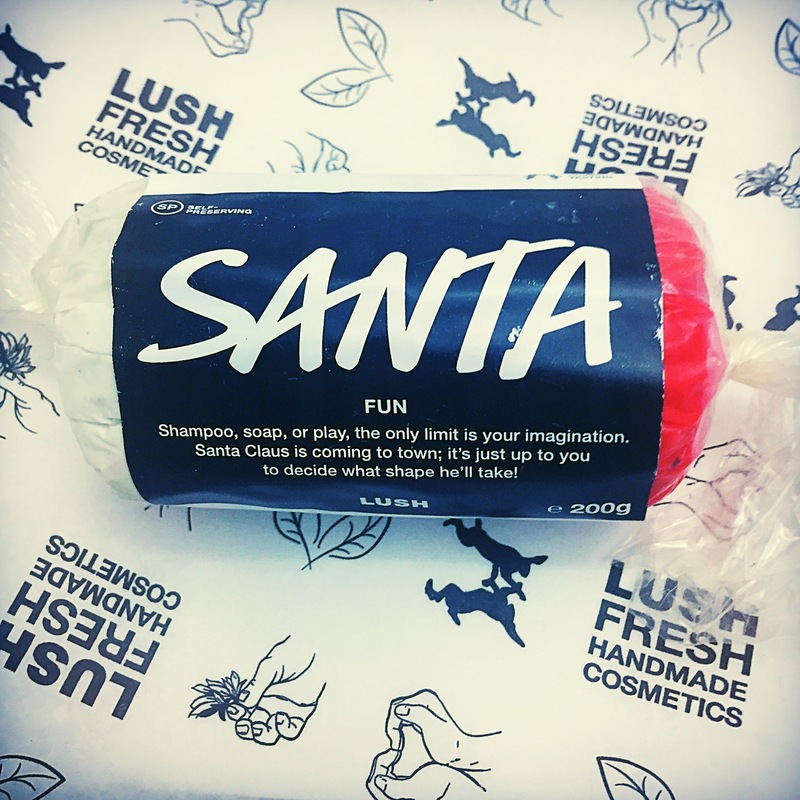 I absolutely love the scent of this FUN it shares its scent with the snowman shower jelly (which I also love). 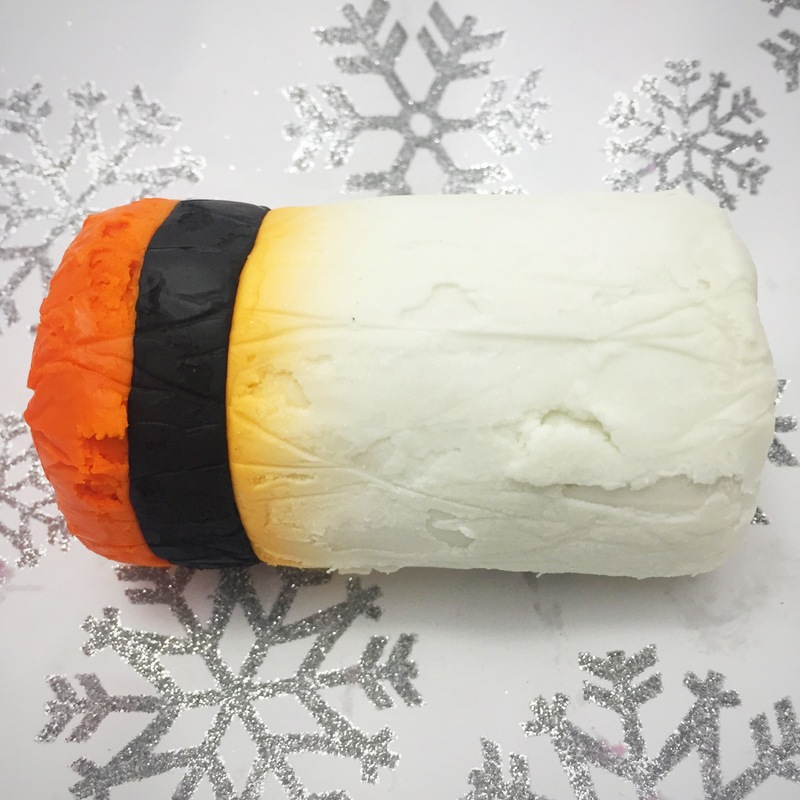 Featuring Buchu oil, Sicilian lemon oil and bergamot oil this FUN bar has a zesty citrus scent. I found the scent of this bar to be very uplifting and it is great for getting you going on cold winters morning when you really just wanna stay in bed. Which is you favourite FUN bar? Which should I try next? INGREDIENTS: Talc, Cornflour, Glycerine, Sodium Laureth Sulfate, Buchu Oil, Sicilian Lemon Oil, Bergamot Oil, Gardenia Extract, Perfume, Linalool, Limonene, Lilial, Snowflake Lustre, Colour 15510, CI77266.